The Deal: Throughout the season, Lake Tahoe ski areas hook you up with super cheap $25 dollar tickets. All the monies go to the Excellence in Eduation Foundation. The Details: Check out below where to pick up tickets. They need to be done in advance so you’ll have to do some work to get ahold of them. This is a great deal for the Lake Tahoe area. Northstar-at-Tahoe – Sunday – Friday , January 2 -7 – NEW! $25 lift ticket valid any one day between January 2 – 7. Tickets available the week prior at Porters Sports. Royal Gorge – Saturday and Sunday, January 8 & 9 – $15 trail pass available the week prior at Porters Sports. Tahoe Donner Cross Country – Monday – Friday, January 17 – 21 – NEW! $15 trail passes valid any one day from January 17 – 21. Purchase tickets the week prior at Porters Sports in Truckee or Tahoe City. Boreal Mountain Resort – Sunday, January 23 – $25 lift tickets available the week prior at Porters Sports. Tahoe Cross Country – Sunday, January 23 – NEW! 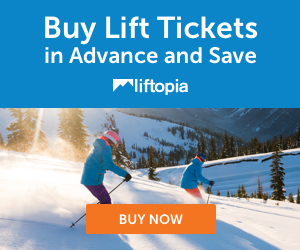 $15 lift tickets available the week prior at Porters Sports. Tahoe Donner Ski Area – Monday – Sunday, February 28 – March 6 – NEW! $25 lift tickets valid any one day from February 28 – March 6. Purchase tickets the week prior at Porters Sports in Truckee or Tahoe City. Sugar Bowl- Saturday, March 19 – $25 lift tickets available the week prior at Porters Sports. Homewood Community Benefit Day * -Sunday, March 20 – This date is a “Community Benefit Day” and $25 lift tickets will be available at Homewood ticket booths this day. A portion of the proceeds will benefit Excellence in Education Foundation. Alpine Meadows Community Benefit Day * – Sunday, April 3 – This date is a “Community Benefit Day” and $25 lift tickets will be available at Alpine ticket booths this day. A portion of the proceeds will benefit Excellence in Education Foundation. Call 530.583.4232 for details. Squaw Valley USA- Sunday, April 10 – $25 lift tickets available the week prior at Porters Sports.